The contract for both the purchaser and the vendor need to be identical before proceeding to the next step. This is the exciting part where the vendor and purchaser check, sign, date and swap contracts with the vendor paying the balance of the deposit monies. “Settlement” is the culmination of the conveyancing process where solicitors for the vendor (selling party) and purchaser (buying party) meet with their respective bank representatives to exchange legal deeds, pay the balance of the purchase price and complete other payments such as stamp duties. You are now ready for the big day! Everyone now gets together to make the final exchange of documents and payments to complete the conveyance. If all the checks and inspections have been made properly, the settlement will usually be a smooth and quick transaction. Other than the reward (and most often relief) of completing your conveyance, you will still need to lodge your legal documents with the Land and Property Information to formally register the change of ownership of the property. As a purchaser you may also need to inform the relevant authorities that you are now the new owner, such as the owner’s corporation if you have purchased a unit. Apart from legal fees, there are quite a number of costs in a conveyance such as property insurance, taxes and stamp duties. You will be in a much more comfortable position to get the most out of your conveyancing experience if you have a realistic idea of how much it will all cost. Speak to us at Luchetti & Co and we will discuss these costs and fees involved in your conveyance. Conveyancing may seem to be a rather clerical, time consuming and even impersonal process. However, with Luchetti & Co . to guide you every step of the way, we can enure your conveyance is a rewarding and even exciting experience. Remember the better informed you are, the better you can conveyance with confidence. Have you finally found your dream home? Or are you ready to invest in some property? Perhaps you wish to sell your business, home or investment property. Then welcome to the world of conveyancing. A “conveyance” is a written instrument legally transferring the interest in land from one person to another. Examples of conveyances include deeds, real estate contracts, or contracts for deeds, assignments, leases, mortgages or deeds of trust. “Conveyancing” is the legal work involved in preparing these deeds in order to transfer interest in land from one party to another. Who is Qualified to do Conveyancing Work? Some people choose to undertake their own conveyance or use a licensed conveyancer. Generally speaking, doing your own conveyancing can be a risky business, as you can’t get the same insurance available to legal professionals. This means that if you make a mistake you are responsible and there is little avenue for financial compensation. Even if you have done your own conveyancing before, it is nonetheless advisable to see a solicitor. This is because laws change quite frequently and there may be complex and potentially costly problems catching you out when you least expect it. 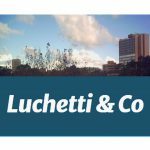 Speak to us at Luchetti & Co to ensure your conveyance is in safe hands. We will provide practical and effective solutions and will be easily accessible to ensure you get the most out of your conveyance from start to finish. Stages of the Conveyancing Process. Use these pages to bring yourself up to speed so that you can ask us the right questions.